Known as the Garden of England, Kent is famed for its countryside and relaxed way of life. Far removed from the hectic nature of big city life and thus the ideal spot for a truly peaceful getaway. Enjoy complete tranquillity, savour the delightful views across the unspoilt Kent Countryside. Watch the geese flying in to graze on the pond, listen to the owls calling from the nearby oak trees. Go for walks, find quaint countryside pubs, friendly faces and an abundance of natural beauty spots. 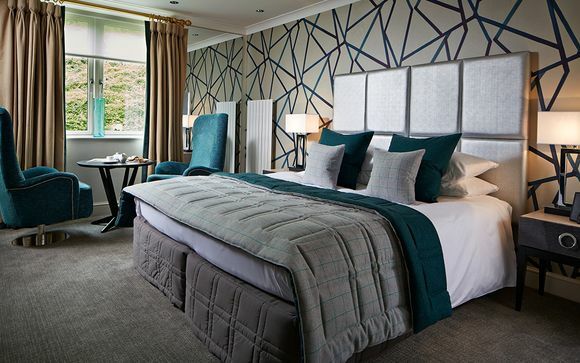 Welcome to Rowhill Grange Hotel and Utopia Spa, a Luxury boutique hotel in Kent. 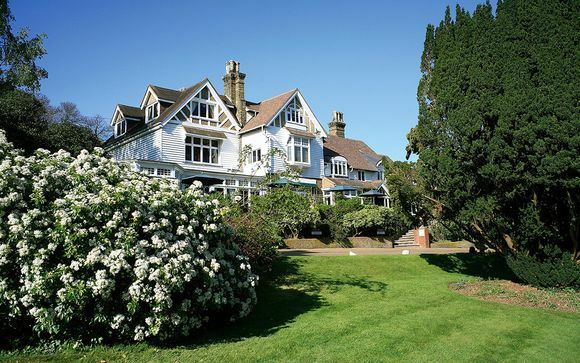 Recognised as one of Kent’s finest country retreats, Rowhill Grange Hotel & Spa looks forward to giving you a delightful retreat away from the hustle and bustle of the city. Less than an hour from London I found this hidden gem nestled in the Kent countryside. Wandering into the spa was like stepping back in time to the Roman Baths! The grand surroundings really added to the sense of indulgence, helped by the fact that I spent all day cocooned in a fluffy dressing gown! It was a really lovely mother-daughter day out. All rooms have deep sprung mattresses dressed with the finest Egyptian cotton bed linen and deluxe duvets. All en-suite bathrooms have been lovingly created and filled with L'Occitaine products to ensure a refreshing stay. Rowhill Grange Hotel has a handful of different yet very tasty dining experiences under our very talented and imaginative brigade of chefs. Guests who enjoy a sophisticated afternoon or evening dining experience will love the commitment to quality ingredients and inspiring dishes found in RG's Restaurant. For a less formal restaurant Elements Bar & Lounge provides a creative lunch and dinner menu that combines traditional classics with seasonal touches. Traditional Afternoon Teas are hugely popular and served in one of of the intimate lounges, brasserie or restaurant. Just for you: Use of the Utopia Spa facilities from 15:00 on day of arrival until 11:00 on day of departure, complimentary use of robes and slippers. 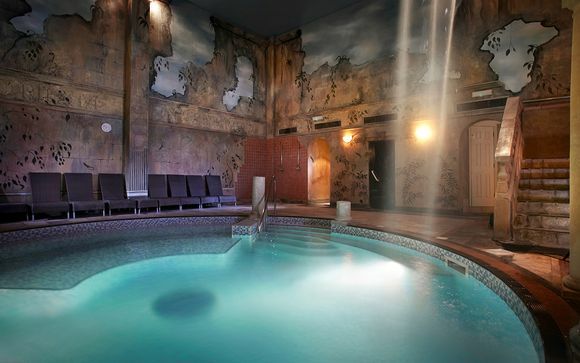 The Utopia Spa at Rowhill Grange Hotel offers a world of pampering. This Roman inspired spa, spread across 2 floors of pools, bubble tub, sauna and steam rooms, have been designed to take guests on an intimate spa journey. Whether you’re relaxing by the pool, taking a dip in the hydrotherapy pool or letting our monsoon showers wash away everyday stresses and strains, you’ll experience true Utopia. They offer 19 treatment rooms including double treatment rooms, and therapists who are experts in their field, providing an attractive selection of spa days and a wealth of spa treatments. Spa guests can make full use of the gym, join one of the daily exercise classes such as yoga or body blitz, visit the hair salon or enjoy the outdoors exploring the gardens and grounds. (Approx 5mins), turn off at Junction 3. Please note that there are 2 exits for junction 3, do not take the first exit marked M20, you require the 2nd exit for the A20 to London. Follow signs for Swanley on the B2173. At Swanley, follow signs for Hextable B258 through four small roundabouts. One and a half miles from the last roundabout you will see the entrance for Rowhill Grange on the left hand side opposite a red MOT Garage on the right. Turn off at the Dartford Heath exit, signposted Foots Cray/Bexley/Wilmington and turn right at the roundabout. At mini roundabout, turn left towards Wilmington. Continue through a further two roundabouts taking the first turning on the right for Wilmington. Proceed to the top of this road. Turn left into Broad Lane. At the next roundabout turn right into Barn End Lane signposted Hextable and Swanley, which leads to Top Dartford Road (B258). Rowhill Grange is situated about 1 mile on the right hand side opposite a red MOT Garage on the left. To Swanley, approximately a 30 minute journey.